A lot of people are waking up to how vulnerable we all are to disasters and starting to stockpile survival supplies. Yes, having a stockpile of food, water, candles, first aid supplies, etc. 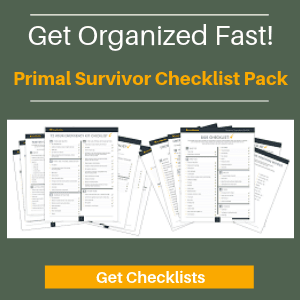 is important if you want to get through a short-term disaster like a hurricane or earthquake. But let’s be realistic. 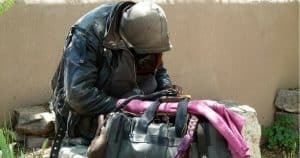 In a major SHTF disaster scenario, these stockpiles aren’t going to help much: as soon as someone realizes that you have supplies, they are going to come and take them! The best way to prepare for disaster situations is to keep your supplies –and yourself – secure in your own underground survival bunker. 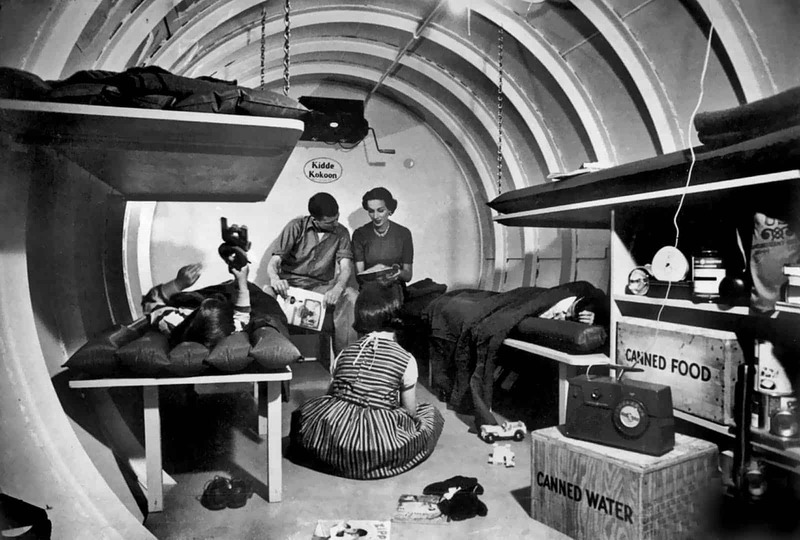 When people hear “survival shelter” or “underground survival bunker,” it is usually a fallout shelter from the 1950s that comes to mind. So, no wonder people will think you are crazy if you say you are building a bunker. They’ll think you are prepping for a nuclear war. Our disaster prep needs are a lot different today than they were during the height of the Cold War. 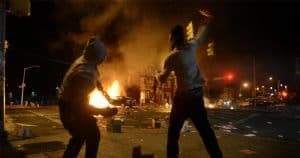 Yes, nuclear war may still be a risk – but the most likely disasters are really Electromagnetic Pulse, economic collapse, terrorist attacks, and the chaos that ensues. 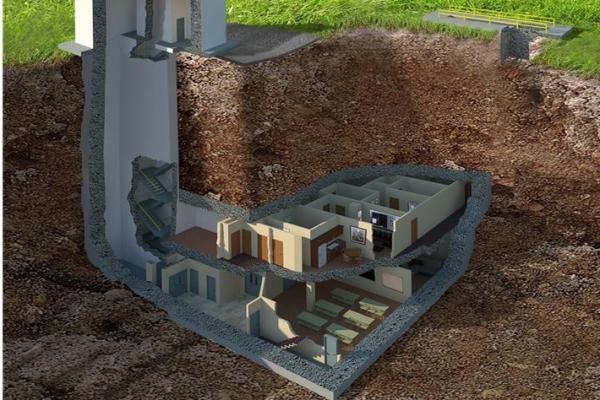 So, you don’t really need a survival shelter designed solely to survive nuclear fallout. You need a survival shelter which is capable of hiding you from society! Unfortunately, most of the survival shelter designs you find online are meant for nuclear fallout. They won’t work for long-term sheltering. For example, a fallout shelter will be sealed off to prevent nuclear fallout from entering. This also means that it will prevent airflow. Those fallout shelter designs are also difficult to conceal and not very comfortable. Interestingly, I almost never seen a TOILET in any of those old fallout shelter photos. How would you like to piss and crap in a bucket, and just let it there stinking up the small space? No, a long-term survival shelter needs to have a sewage drainage system or other emergency toilet system. It also needs a water source if you plan on hunkering down there for any significant amount of time. 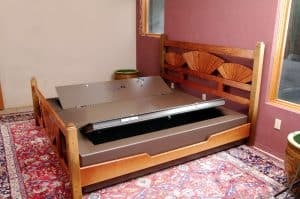 If you already have a property with a fallout shelter on it, you can renovate it to make it suitable for today’s disaster prep needs. Check out this modern underground survival shelter in Georgia set on 20 acres of property. It was made by renovating an old bomb shelter. You can even buy it… If you have $17,500,000! Luckily, it is getting easier than ever to get your own hidden underground shelter right in your backyard or on your survival property. 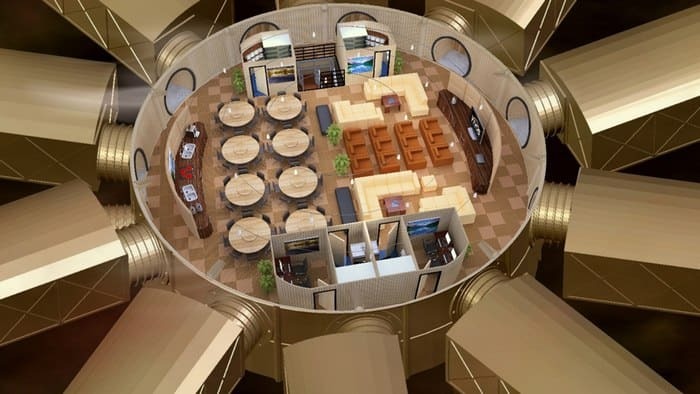 Many companies now make pre-fab underground shelters. You basically just hire/rent a digger to make a large hole and then drop the shelter into the hole. These pre-fab survival shelters are easy to install, relatively cheap, and offer a good degree of protection. 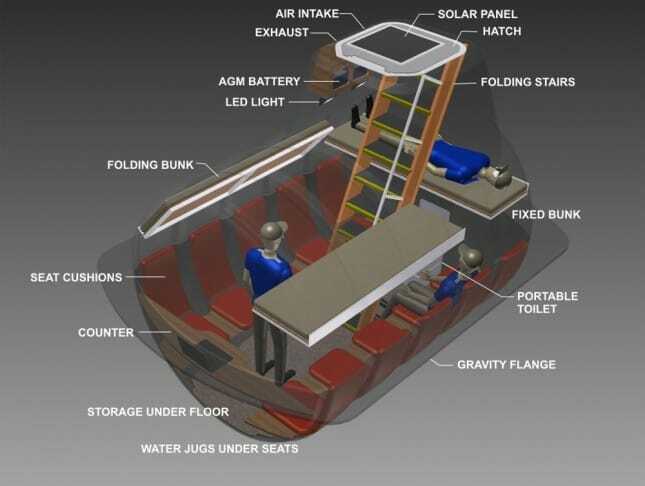 Of course, there are a lot of issues with these pre-fab survival shelters. First, if you are going to install one in your backyard, your neighbors are going to see it – which kind of defeats the point of concealing it. Also, you will need to apply for a permit. It is possible that high-ranking government officials might look through the permits and then come and raid your bunker. Maybe it isn’t likely, but it is still a possibility. The only way to have a 100% concealed and hidden underground shelter is to build it yourself in privacy. While having a pre-fab survival shelter is definitely better than not having any shelter, note that these are usually NOT MEANT FOR LONG-TERM SURVIVAL. They don’t have their own sustainable source of water (water will run out quickly). Many don’t even have a sewage removal method or chemical toilet installed inside them. So, be realistic. This survival shelter is going to get you through a few months of disaster, tops. After that, you’ll have to go outdoors and brave the chaos like the rest of everyone (who are still remaining that point). I know a few people who have built their own survival shelters underground and hidden the entrances. Before you start digging, CONSULT WITH AN ENGINEER. Seriously, consult with someone who actually knows about design! Even if the design is good, it might not be suitable for your property type. You’ll need a geogolical survey done – especially if you want your own well. It is really important to emphasize this, especially since in survival forums I’ve seen lots of people talking about “using steel containers as underground shelters.” You can’t just dig a hole and plop a steel container into it! Nor can you just dig a hole and construct a concrete room. There are a lot of issues which need to be considered. Aside from the actual stability of the construction (and its ability to withstand a major blast), there are issues like ventilation, waste removal, moisture control, etc. whicih need to be taken into consideration. Flooding: You have to use drainage systems and ditches to ensure that rainwater and melting snow don’t leak into your shelter. Digging through Wires or Pipes: There is a reason you need permits before building an underground shelter. You could dig through the town’s water supply pipes, internet wires, etc. Suffocation: Those nuclear fallout bunkers are designed to keep out radiation, but they also will block air. 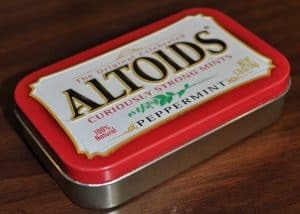 You could end up suffocating. You will need air ducts and air filtration system. 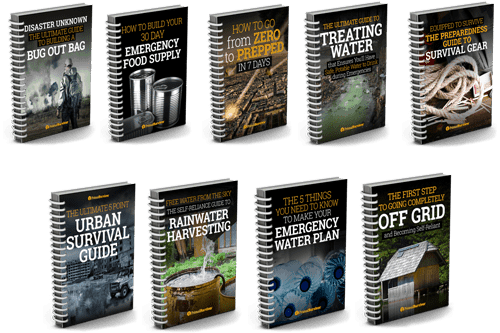 Dying of Thirst: You can put a month or two’s worth of water in your survival shelter, but then what? A good design will have its own sustainable water source inside. If you are already 30+ feet underground, it isn’t too much more to dig to tap into a well water. Then you just need a pump to get that water. 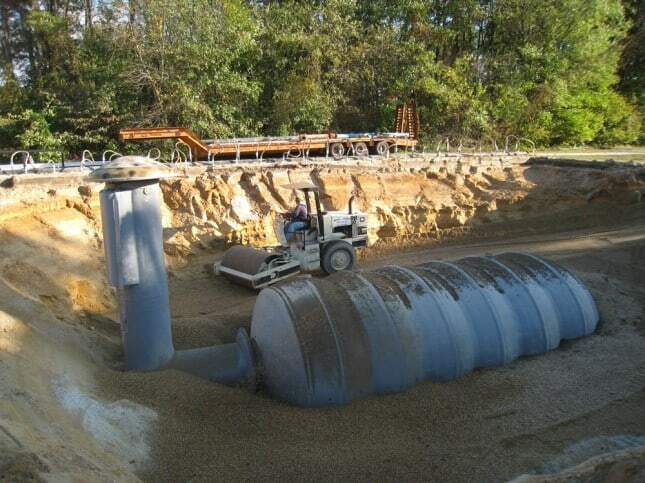 Sewage Backup: Some underground shelter designs use holding tanks for sewage waste. If a large blast occurs, then tank can crack. If it is placed close to the shelter, then the sewage can back up into the shelter. Carbon Monoxide Poisoning: If you plan on using gas to cook in your underground shelter, you could end up getting poisoned. Leaks could also result in an ignition risk. The best way to cook in a shelter is with an alcohol emergency stove. Make no mistake: building a secure hidden underground shelter with its own sustainable water source and energy is going to be pricy. If you can’t afford the installation now, not worry too much. Always focus on what you can do for disaster preparation now and improve when you are able to.